The most prominent custom commonly observed on Nittel Nacht is to abstain from Torah study, and there are a number of reasons offered for this. One explanation offered is that refraining from Torah study is intended to serve as a sign of mourning. Mourners, including all Jews on Tisha B’av, are forbidden from studying Torah, as it is an activity which makes one happy. The “mourning” in this context would be over the rivers of Jewish blood that have been spilled throughout the ages, all perpetrated in the name of Jesus. Some Chassidic Rebbes went so far as to even refrain from sleep on Christmas Eve lest they dream about Torah! The Tzemach Tzedek of Lubavitch was once “caught” learning Torah on Nittel Nacht but quickly repented. Chassidic legend relates that wild dogs would visit those who “violated” the custom and studied Torah on Nittel Nacht. The most predominant and logical of explanations for the origin of Nittel Nacht customs, namely, the abandonment of Torah study and the closure of batei midrash on Christmas Eve was in fear of possible pogroms. It was common in the Middle-Ages for the Christians to unleash pogroms in honor of their holidays. By forbidding Torah study there was essentially no reason for anyone to leave their homes on Christmas Eve. It appears therefore that the entire Nittel Nacht enactment was simply a decree to save Jews from being beaten or killed. Furthermore, Torah study at home was also not an option as it was quite rare for individuals to own their own books in those years. There were even some regions where the Jewish community was told to turn out their lights on Christmas Eve for their own safety. Some suggest that with Chanukah in close proximity to Christmas, the dreidel was a game invented in order to pass the time while sitting in one’s home waiting out any fear of pogroms. It is pointed out that the gematria of Nittel is the same as Chanuka alluding that proper observance of Chanuka can override the concerns of Nittel. A mystical perspective to the prohibition on studying Torah on Nittel Night has it that by studying Torah one is contributing positive spiritual powers to the world. It was believed inappropriate to make such contributions on a night of widespread idolatry, pogroms, and inappropriate merriment. There was also the concern that one’s Torah study may go on to unwillingly serve as a merit for Jesus’ soul, which was also undesired. This latter idea corresponds to the teaching that Torah study and prayer are said to give respite to the souls of all the wicked. Other sources simply state that Nittel Nacht is a night where impurities reign supreme and therefore Torah study, the most sacred of activities, would not be appropriate. There is a custom among some Chasidim not to learn Torah on “Nittel Nacht” in order not to contribute positive spiritual powers to idolatry. 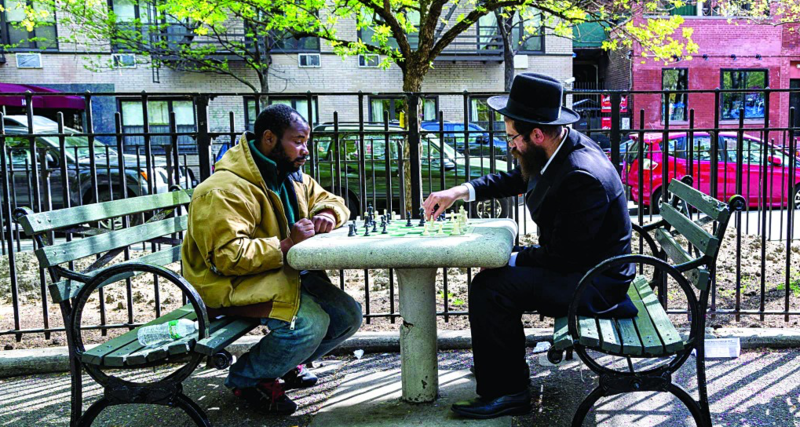 The Lubavitcher Rebbe related in a talk in the name of his father-in-law, the Rebbe Rayatz, that the 5th Lubavitcher Rebbe, the Rebbe Rashab, played chess on “Nittel Nacht” (Parashat Vayeshev, 1st Night of Chanukah 5750). And this was indeed the custom of the Lubavitcher Rebbe until midnight of “Nittel Nacht” (see Sha’arei Halachah U-Minhag vol 3 pp. 64-67. There is a famous picture of the Lubavitcher Rebbe and his father-in-law, the Friediker Rebbe, playing chess on Nittel Nacht). But our custom is that one needs to learn Torah on that night, just like every night. Some explain that the reason for not learning Torah of that night is that the Christians would become impassioned on their holiday, would go out and kill Jews (Ta’amei Ha-Minhagim p. 500). We therefore would need to stand guard instead of learning Torah (Ta’amei Ha-Minhagim p. 500). Baruch Hashem, Christians do not act this way today and we need to learn a lot of Torah. By the way, it is told in the book “Siach Sarfei Kodesh” (p. 192) that when the last Lubavitcher Rebbe was sitting shiva, the Satmar Rebbe, Ha-Rav Yoel Teitelbaum, paid a shiva call and asked him: Why do we observe the night of “Nittel Nacht” according to the non-Jewish calendar (which is forbidden) instead of according to the Jewish calendar? The Lubavitcher Rebbe answered that we do not learn on that night in order not to give spiritual strength to the god of the Christians and we therefore observe it on the night that they celebrate, which is according to their calendar. And – he added – we must therefore be aware when they celebrate this holiday in the place we are located. In most places, their holiday is on December 25th, but it other places it is on a different day (For example, January 6th). In such places, that is the night of “Nittel Nacht”. But as we said, our custom is to learn a lot of Torah on that night. And Ha-Rav Moshe Sternbuch wrote that this custom was unknown in Lithuania and it is only a custom among Chasidim (Shut Teshuvot Ve-Hanhagot 1:551). The Chazon Ish would learn on “Nittel Nacht,” and said that it was forbidden to waste time from learning on this night and he criticized those who did not learn on that night. The Steipler Gaon would also learn on “Nittel Nacht,” but did so by heart so as not to upset those who have the custom not to learn. The Steipler Gaon also requested not to be informed when Nittel Nacht is so that he would not have to waste time from his learning (Orchot Rabbenu vol. 1 p. 193). And Ha-Rav Ovadiah Yosef has written that no such custom exists among Sefardic Jews (Shut Yabia Omer vol. 7 Yoreh Deah #20). The Lubavitcher Rebbe also writes that this custom does in exist in Eretz Yisrael (Sha’arei Halachah U-Minhag ibid. p. 67), even though it seems that some do have this custom in Eretz Israel. Next PostNext Are all Nestle products Kosher?